Editor’s Note: The following was sent by Puerto Rico’s Mayor Carmen Yulin Cruz to members of Congress in response to President Trump’s tweets and threats of revoking aid to the island. 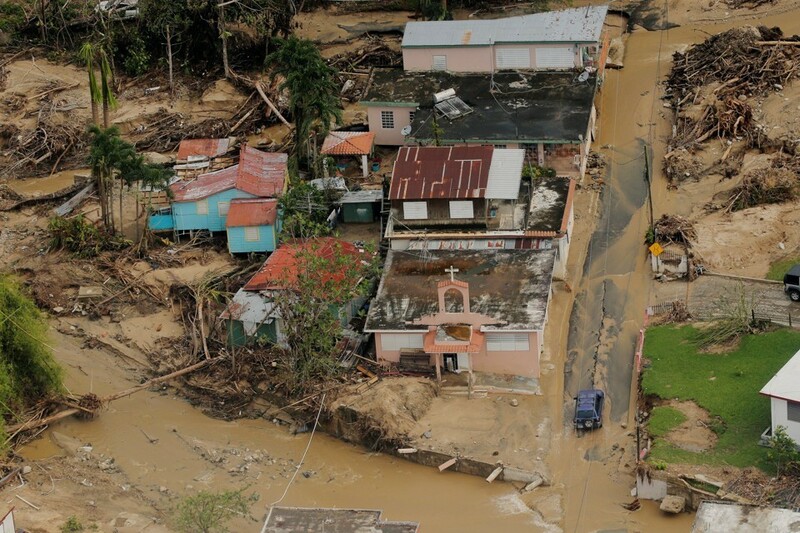 Puerto Ricans have suffered greatly in the past month. Two hurricanes devastated our homes and our electrical infrastructure leaving us without the essentials to survive: drinkable water, food and medicine. But perhaps more frustrating has been the devastating actions, time after time, by a President whose tweets, comments and actions seem to be taken out of a book on “how to add insult to injury” rather than a book on “how to help during a humanitarian crisis”. He is simply incapable of understanding the contributions, the sacrifices and the commitment to democratic values that Puerto Ricans have shown over decades. His actions are unbecoming of a leader of the free world. Mr President, you seem to want to disregard the moral imperative that your administration has been unable to fulfill. Your replacement of the FEMA Coordinator in Puerto Rico is an admission that things are not going the way they should. Your tweets and comments just show desperation and underscore the inadequacy of your government’s response to this humanitarian crisis. It is not that you do not get it, it is that you are incapable of empathy and frankly simply cannot get the job done. Ever since this ordeal began, San Juan has had over 300 sustained volunteers from the United States. Good, hard working people from New York, Florida, California, Texas and many others who embody the fundamental values of compassion, ingenuity and hard work that you are certainly unable to express. These men and women, most of them union workers, have literally taken care of our bodies and souls. They did not come for a photo op or to throw paper towels and insults at us. They came to help, something you seem to be unable to grasp. These volunteers have seen the horror that you continue to want to dismiss. They embody the true spirit of the American values that you dismiss with every inappropriate and derogatory action and comment. Tweet away your hate to mask your administration’s mishandling of this humanitarian crisis. While you are amusing yourself throwing paper towels at us, your compatriots and the world are sending love and help our way. Condemn us to a slow death of non-drinkable water, lack of food, lack of medicine while you keep others eager to help from reaching us since they face the impediment of the Jones Act. I ask every American that has love, and not hate in their hearts, to stand with Puerto Rico and let this President know we WILL NOT BE LEFT TO DIE. I ask the United Nations, UNICEF and the world to stand with the people of Puerto Rico and stop the genocide that will result from the lack of appropriate action of a President that just does not get it because he has been incapable of looking in our eyes and seeing the pride that burns fiercely in our hearts and souls. No one needs an invitation to help, to feed the hungry, to cure the sick, to give a helping hand to those in need. Simply put: HELP US. WITHOUT ROBUST and CONSISTENT HELP WE WILL DIE. Carmen Yulin Cruz is the mayor of San Juan, Puerto Rico. Next PostSchool Vouchers: What Do Latino Parents Want?